If I believe after thoroughly reviewing my product, its inputs, and the applicable Rule of Origin, that there remains ambiguity as to the "originating" status of the product under the U.S.-Australia FTA, is there a way that I can find out the position of Australian customs prior to the arrival of my goods in Australia? What is the U.S.-Australia Free Trade Agreement (FTA)? How has the Agreement improved access for U.S. exports to Australia? 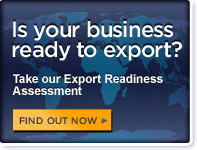 How does the agreement benefit U.S. exporters? How can my product qualify to take advantage of the U.S. - Australia Free Trade Agreement? Will this require additional documentation for all of my shipments to Australia? In order to be eligible for preferential duty rates, is it necessary to fill out a Certificate of Origin? Can I use a North American Free Trade Agreement (NAFTA) Certificate of Origin to declare that my products qualify for preferential duty treatment under the U.S.-Australia FTA? Why do I need to go through the process of qualifying my good if I don't even need a Certificate of Origin? I have heard that packaging materials and containers are not taken into consideration when qualifying a good under the U.S. - Australia FTA. Is this true? I often send accessories for my product separately from the product. Will these qualify automatically if the main product qualifies? What if my good is produced in the United States, but is transshipped through a third country on its way to Australia? Can it still qualify for preferential treatment? Will the Agreement create new opportunities in electronic commerce? What will be different about investing in Australia? Will there be new arbitration procedures for investment disputes? Will U.S. companies be able to sell to the Australian government? What issues are commonly misunderstood about the NAFTA? What exactly does "wholly obtained or produced" mean? How are products qualified for special tariff treatment under the NAFTA? How are complicated, multi-part products qualified under NAFTA? What are the changes to Mexico's maquiladora regimen implemented January 1, 2001? What is the U.S.-Bahrain Free Trade Agreement (U.S.-Bahrain FTA)? How does the Agreement improve access for U.S. exports to Bahrain? What education and training services are available? What information and communications technology (ICT) services are available? How Does The FTA Affect Service Sectors? How can my product qualify to take advantage of the U.S.-Bahrain Free Trade Agreement? What duties and taxes are levied on the goods I export to Bahrain? Does the U.S.-Bahrain FTA require additional paperwork for all of my shipments to Bahrain? Are there any non-tariff controls that affect the importation of my product from the United States? What if my good is produced in the United States, but is transshipped through a third country on its way to Bahrain? Can it still qualify for preferential treatment? How Does The FTA Protect Intellectual Property Rights (IPR)? What provisions are maintained in the U.S.-Bahrain FTA to enforce compliance with the Agreement? If I believe after thoroughly reviewing my product, its inputs, and the applicable rule of origin, that there remains ambiguity as to the "originating" status of the product under the CAFTA-DR, is there a way that I can find out the position of the customs authority in the receiving country prior to the arrival of my goods in that country? What is the Central America-Dominican Republic-United States Free Trade Agreement (CAFTA-DR)? How can my product qualify to take advantage of the CAFTA-DR? Does this FTA require additional paperwork for all of my shipments to Central America and the Dominican Republic? Can I use a North American Free Trade Agreement (NAFTA) Certificate of Origin to declare that my products qualify for preferential duty treatment under the CAFTA-DR? I have heard that packaging materials and containers are not taken into consideration when qualifying a good under the CAFTA-DR. Is this true? What if my good is produced in the United States, but is transshipped through a third country on its way to a CAFTA-DR country? Can it still qualify for preferential treatment? For how long am I required to keep records related to a declaration of origin under the CAFTA-DR? Does this Agreement cover exports to the West Bank and the Gaza Strip? Can the U.S. Government assist me if I experience problems exporting under the FTA? Are Agricultural Products Covered by this Agreement? What Benefits Can U.S. Companies Expect? Are There Any Import Restrictions? How Does The FTA Protect Intellectual Property Rights? Why is Singapore considered a good trading partner? What is the Integrated Sourcing Initiative (ISI)? What paperwork is required for my shipments to Singapore?